This is why I love looking at swings and analyzing them more than I like even swinging myself or playing – I’m always trying to see if a swing I look at could be better or more mechanically-sound, to pass this on to WAX Nation readers who love to look at swings themselves. 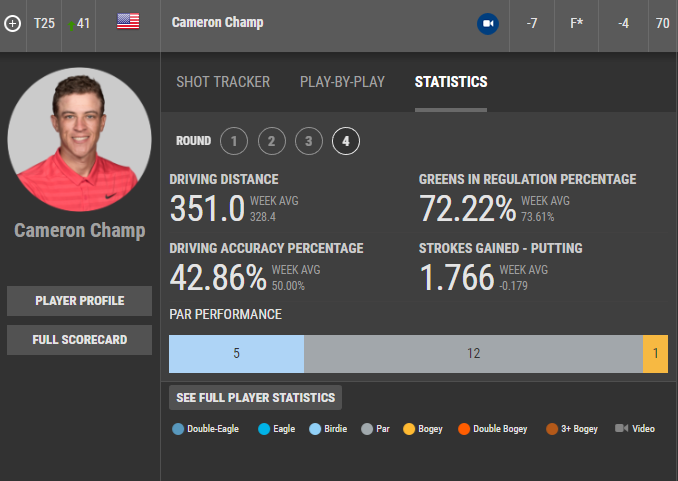 You’ll see above that he averaged a staggering 351 yards driving distance on Sunday at the Safeway Open (and registered at Top-25 finish in his 1st event as a PGA Tour pro! ), but less than 43% fairways hit. He could still drive the ball with 350 yards and do so with less effort, and less wear-and-tear on his body and, more importantly, have that extra distance to call on when he wants it, with improved Launch numbers – that’s without even changing his swing. This would improve his accuracy and repeatability (swinging easier always gives you more of both), and more than likely give him more longevity in his prime years of playing. First, I talked about how his impact conditions, with a higher Attack Angle and less spin on his drives, would give him a longer carry simply due to physics and aerodynamics. That would mean he could not only hit the ball as far with less effort (you wouldn’t need as high a club and ball speed to get the same carry distance with improved launch numbers). That would mean he’d almost surely improve his accuracy and consistency, but it would be easier on his body. There are two things that give me concern looking at his action. His top position reminds me a good deal of young Tiger Woods when he was one of the longest amateurs and, when he turned pro, players on Tour. 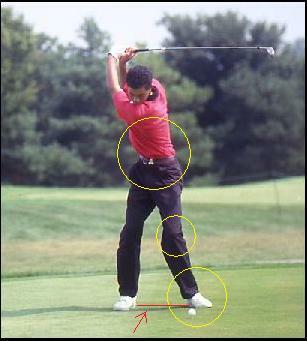 Many of you will remember the above picture, with the areas in the knee and lower back circled, from when I said that the young Tiger Woods had nearly a perfect setup and swing, except for that planted heel, which ruined his left knee and led to the lower back problems in 2013 when he was working with Sean Foley. 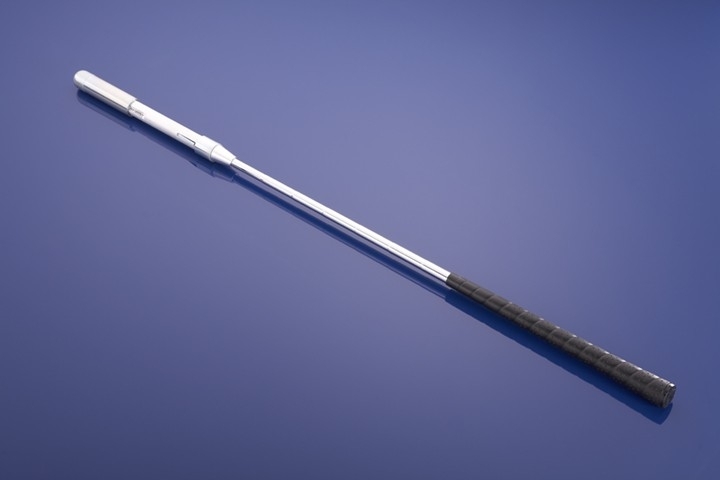 Cameron is still young and supple, but he swings in the Modern Golf Swing style, and that leading leg position with the heel flat, and the lower back torquing, could lead to future problems in one or more of the leading knee, hip and lower areas. So, even more then the Launch numbers, I’d be looking at getting some release in that leading heel on the back swing pivot, and getting rid of the left-leg snap, which in his case is caused by both the anchored right foot through impact and the finish, as well having to produce more leverage because of the restricted hip turn with the planted leading foot pivot. 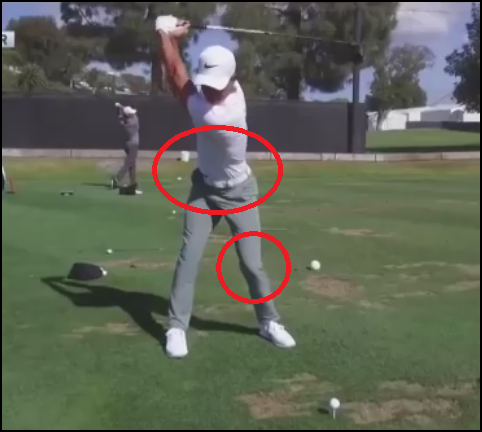 If he’s not going to change his swing, then he would be able to save some wear and tear on the body by swinging easier, and that means improving the numbers – but with a very easy tweak to the back swing pivot, he’d alleviate that leading knee and lower back twisting. The longer he swings like this, the more likely something will happen, because he’s generating huge amounts of force – but that force is what causes the damage when swinging in a manner that is not mechanically-sound. Sometimes it’s not so much about getting more distance and power so much as it is getting the same amount of both with less effort and risk of injury. In any case, he’s definitely someone to keep an eye on, because he is destined for greatness, barring injury issues. DJ, I don’t see how Cameron’s launch characteristics could be improved much more. At his ball speed, his launch characteristics are pretty close to ideal. If you replace his launch characteristics with yours at his ball speed, he gains a whopping six yards of distance according to Flightscope Optimizer (which can be found online). Additionally, his peak height goes from about 130 feet (high) to about 180 feet (too high-especially in wind). You’re correct that the numbers are pretty good now BM. However I’m just making the point that numbers can alway be improved until they are optimal. I’m.more concerned with way he swings than the numbers. Cameron has already had back issues and he won’t be swinging the way he does for long before a significant event. By that I mean before age 30 which still very young for a golfer.